Last night was a fantastic way to kick off the hot summer at the Pearl Co located on Steven Street. 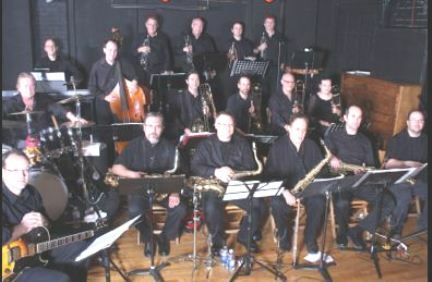 The Jazz Connection Big Band closed out their 13th season with a blistering set of infectious toe-tapping music. The 17 piece jazz band based out of Hamilton is truly one of the best kept secrets in our city. Drummer Steve Wilsonpowered this group through standards such as ‘The Count Is In’ and ‘Take the A Train’. Where to start describing the final concert at St. Christopher’s Anglican Church in Burlingtonon Friday night ? First this orchestra has only been performing together for five weeks and these young people are getting more precise and crisp with each outing. They are led by Maestro Boris Brott whose experience, high expectations and good humour has them responding. They also clearly enjoy being led occasionally by Brendan Hagan, the apprentice conductor. guest soloist RIZIKOV…not your average teenager! I’m not really a Suzuki person, not a Norton or even a Harley-Davidson rider…my ‘cycle is a HONDA 750. Oops, wrong category, last evening’s concert at the Oakville Centre was about the renowned ‘SUZUKI METHOD’ of musical education; and a celebration of its 40 years here & the 80thbirthday of the woman responsible for establishing it in this community. The fourth concert in the Brott Music Festival was played at St. Christopher’s in Burlington on Saturday evening with a continued emphasis on the works of Johannes Brahms. This evening we heard two of the happier works, both in D major, Symphony No. 2 and the very popular Violin Concerto. Last evening, the National Academy Orchestra presented another concert in the Brott Summer Music Festival at St. Christopher`s Anglican Church in Burlington. This concert opened with Beethoven`s Egmont Overture conducted by trainee conductor Brendan Hagan. The overture tells the story of the struggle for freedom of the Netherlands from the occupation of Spain in the sixteenth century. This is a typical motif for Beethoven and one that allows his flair for a dramatic opening; reminiscent of his Fifth Symphony. The 2nd concert of the BROTT SUMMER FESTIVAL – A Double of Brahms was a thoroughly satisfying evening of great music beautifully played, and listened to under conditions that I think were absolutely ideal. The evening began with the Fidelio Overture, a piece which is unmistakeably Beethoven. The concert programme announced it as his “middle period symphonic style” (that alone would get the rapt attention of this huge fan of the Fifth Symphony!). It was conducted by Brendan Hagan, Maestro Brott’s apprentice, and was a delight, allowing the mind to focus, the ears to tune, and something inside the listener to open up and receive the music. Like so many of life’s pleasure’s Fidelio seems too short! Maestro Brott stepped back onto the conductor’s podium for Brahms’ Symphony No.3 in F major. Before lifting his baton to the orchestra, informed us, along with other things, that Brahms is interpreted in more than one way, depending partly on the size of the orchestra.